A great boss is someone who looks out for you inside and out of the office. They will always have your back, and they are willing to put the workplace before themselves. A great boss is someone who works hard and long hours to keep the business afloat. If you have a great leader who also happens to be a friend and a coworker, then you are exceptionally lucky. Today is their day, and you need to let them know how much you appreciate them. Their birthday comes but once a year! Who doesn’t like receiving birthday messages on their birthday? 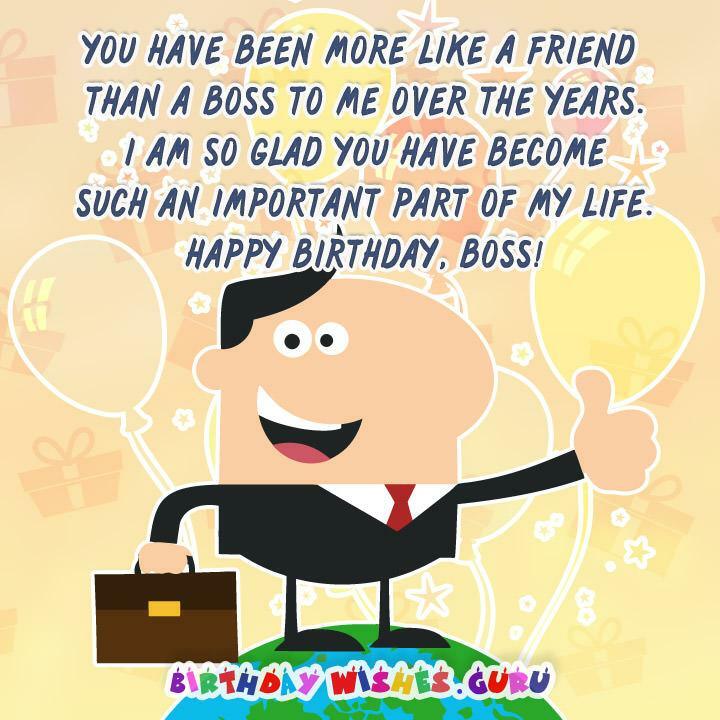 Check out our unique collection of birthday wishes, inspiring words and encouraging quotes for boss. You have been more like a friend than a boss to me over the years. I am so glad you have become such an important part of my life. Happy birthday, boss! I am so lucky to have such an incredible boss. You lead the way everyday to a positive workplace. I hope you have a great birthday today. Today, we toast a boss who embodies what the title truly means. May you live long and help us prosper. Cheers! 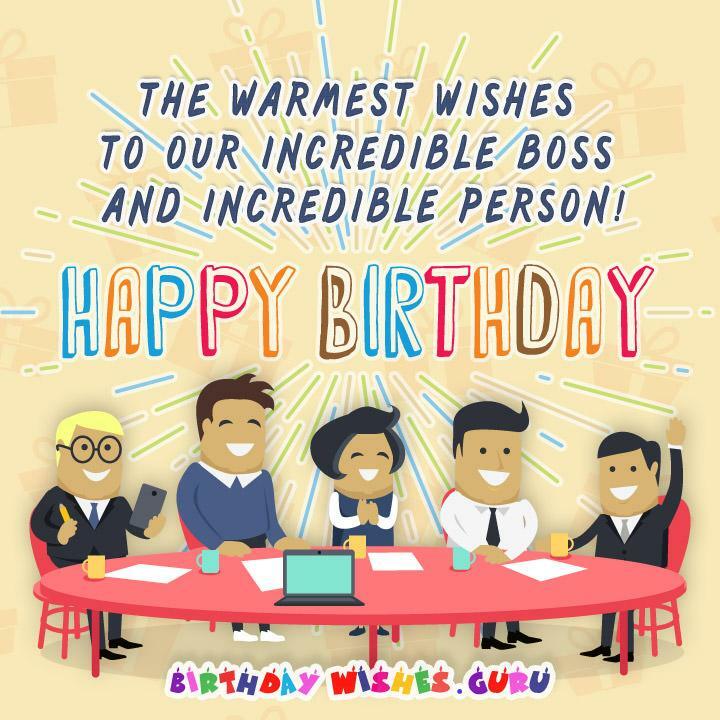 The warmest wishes to our incredible boss and incredible person! We are so proud to be on your team. You challenge us and you inspire us. You are a leader worth emulating. Enjoy your birthday. One of the best things about this job is having you as my boss. Thanks for letting me be part of the team that helps you celebrate your big birthday! Happy (number)th ! You are such a huge inspiration to the way I want to live my work and social life. I hope I end up just like you by the time I am your age. Happy Birthday! I am so inspired by your career, motivation, and ability to be the best boss I have ever had. Thanks for always being there for me when I need it. Happy Birthday! You bring energy, enthusiasm and team spirit to every undertaking. We are glad to be part of your team. Can we be part of your birthday party, too? Here’s wishing you the best of birthdays. Here’s to another year of big accomplishments (and bonuses) with you at the helm. Happy Birthday, (name of celebrant)! There is something so incredible about your work ethic. I know you like to put in long hours, but you should take a little break today. It is your birthday, after all! One of my favorite days at the office is when it is someone’s birthday. Everyone is happy and we all celebrate together. However, on the boss’s big day the partying is non stop! Thanks for being the best boss ever! Can you imagine what this place would be like without you? I know we would all sink like a ship. You are our captain, and it is your fabulous birthday today! 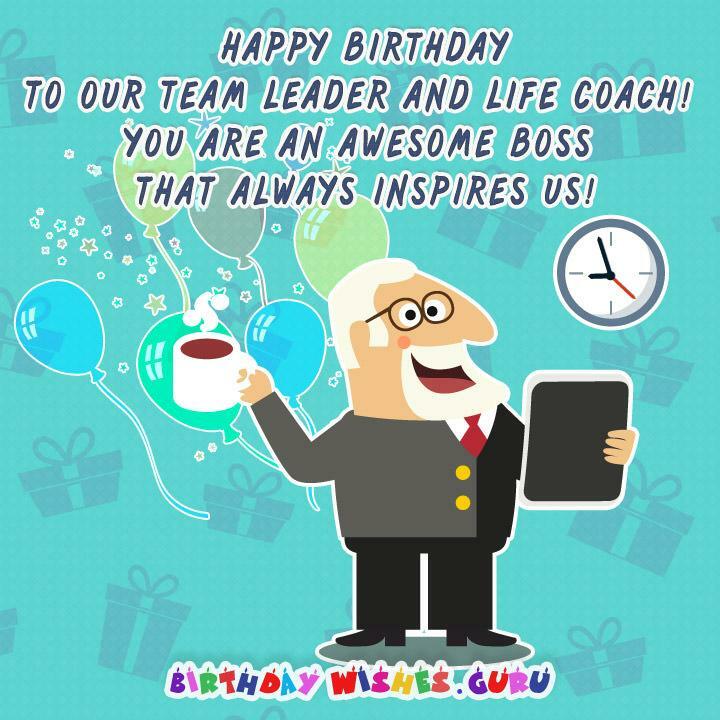 Happy birthday to our team leader and life coach! You are an awesome boss that always inspires us! There is nothing better than a great boss who stays late with you working on a project. We might be staying late tonight, but we will be doing it in style with champagne and cake for your birthday! You are a wonderful person and an incredible leader. Our team owes its achievements to your guidance. Happy Birthday, Boss. 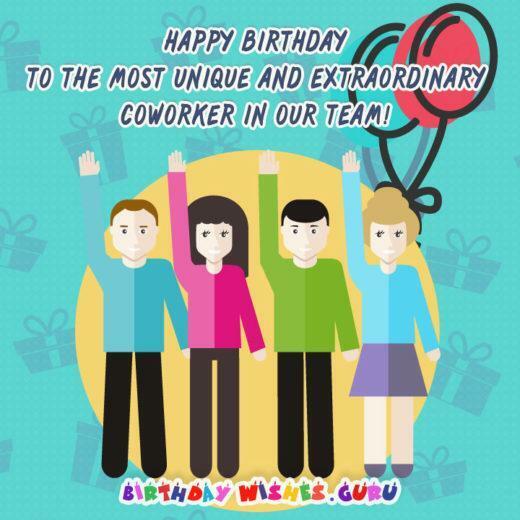 Even bosses have birthdays, so we hope you take the time to enjoy this day in a meaningful way. We actually look forward to coming to work because this place is inspiring and productive. You bring out the best in us. Thank you, and Happy Birthday! I am so excited to go to lunch for your birthday today. It might be a silly tradition, but you deserve all the praise you can get. We passed the hat to buy you a ticket to Paris, but all we could afford was this basket of goodies. Know that it comes with the sincerest of thoughts and best wishes for a wonderful birthday. We might have started off as boss and subordinated, but now you are a trusted a friend. I know I can rely on you for anything when it comes to work and career. Happy birthday, my friend and boss. There are so many things you could do on your birthday: Go to the beach, spend the day in a museum, sleep all afternoon, give everyone a raise. The list is endless, but option D sounds good. Happy Birthday! It’s not work if you’re having fun, you said. We believe you, and here we are after so many years. We are grateful for your leadership. Have a fun-filled birthday! Fact: We spend a third of our lives working. Fact: Working with you has been a grand adventure. Here’s to a wonderful birthday and many more to come. Wishing you boatloads of happiness on this special day. We hope you have a lovely day with family and friends. The best boss is one that holds your hair back when you get sick on your birthday. I am here for you tonight just to let you know. We are going to have a great time celebrating! Can you imagine what life would be like as one of your employees? I can let you know how it feels: pretty damn awesome. Thanks for being the best! Happy birthday! When the going gets tough, bosses tell us to toughen up because it gets better. Thank you for your support in tough times and fun times. Have a great birthday celebration. One of these days I am going to get you the best present ever. However, that will not be the case this year as I did not get my raise. Just kidding! Happy birthday! I like working here, but you make me love working in this office. I cannot imagine what it would be like without you at its helm. Happy birthday! To our glorious leader: you are the best and most gracious one of the ever fabulous office life. Happy birthday to the office despot! Your rules are the way when it comes to this office. We up to you because no one else in charge. However, we know it would not be such a great job without you as the boss. Happy birthday! Somehow, it’s hard for us to imagine what you’re like outside of the office. You’re probably just as efficient, organized and focused. Have a wonderful birthday any way you want to do it. There’s a special place in heaven for people who use their gifts to help others. You are one of those people. 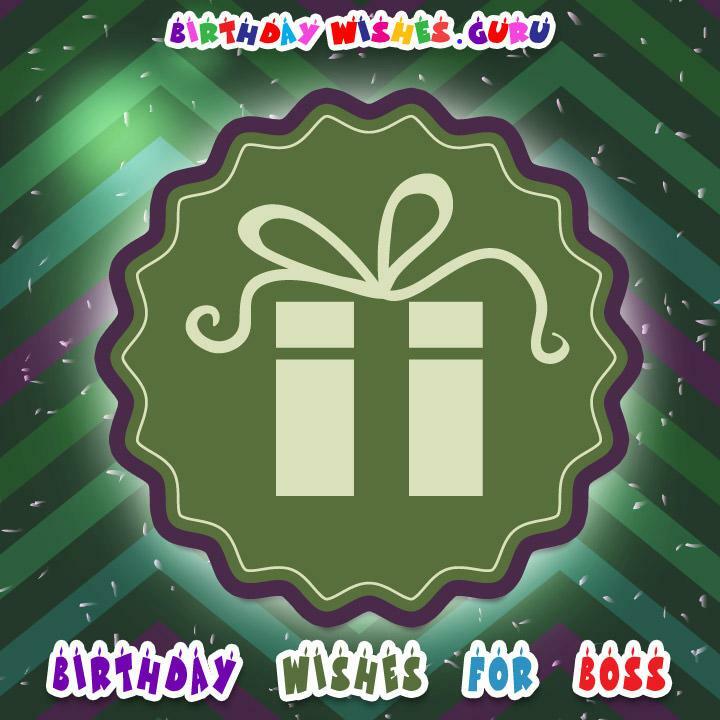 Special birthday wishes come your way on this special day. Deadlines, shmedlines. It’s your birthday. Relax, the work will still be here tomorrow. Meantime, enjoy your special day. You know when to keep calm and when to hit the panic button. You know when to stay cool and when to turn up the heat. You know when to worry and when to let it all slide. You lead like a boss, and we are grateful. We hope you have a wonderful time today. Agenda for today: Celebration! It’s your birthday, and you deserve all the accolades.